Saturday 13 October 2018 - At the Alberto Picco Stadium in La Spezia, Fiorentina played the final of the Italian Super Cup against Juventus. Mister Cincotta knowing he plays against the strongest team in Italy does not intimidate asking their girls to play with their heartsIn fact, the viola start the game in a very aggressive way already creating excellent opportunities in the first minutes, putting the team Rita Guarino on the ropes. After last Tuesday's success of the national team coached by Milena Bertolini in the friendly match played in Cremona - where Italy has passed an important World Cup test against Sweden - women's football is ready to offer its fans a signing event. 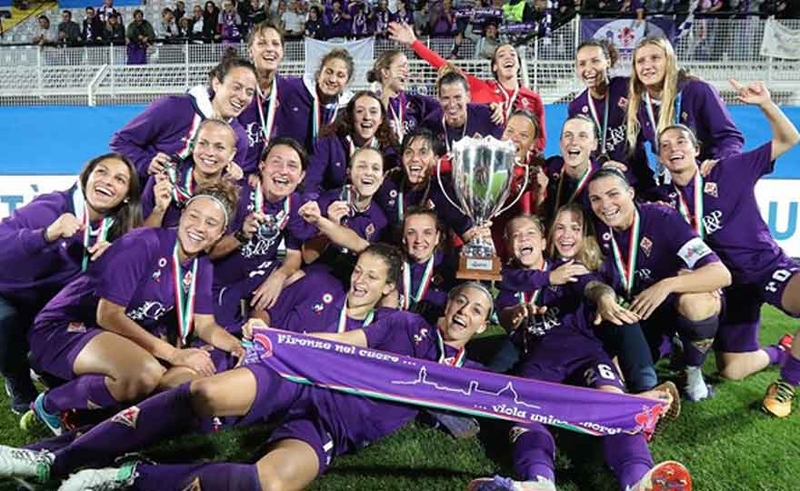 Juventus Italian champion in charge and Fiorentina Women winner of the Italian Cup 2017 / 2018 are preparing for the Super Cup, scheduled for Saturday 13 October (20.45 hours - live Raisport HD) at the 'Alberto Picco' stadium in La Spezia. 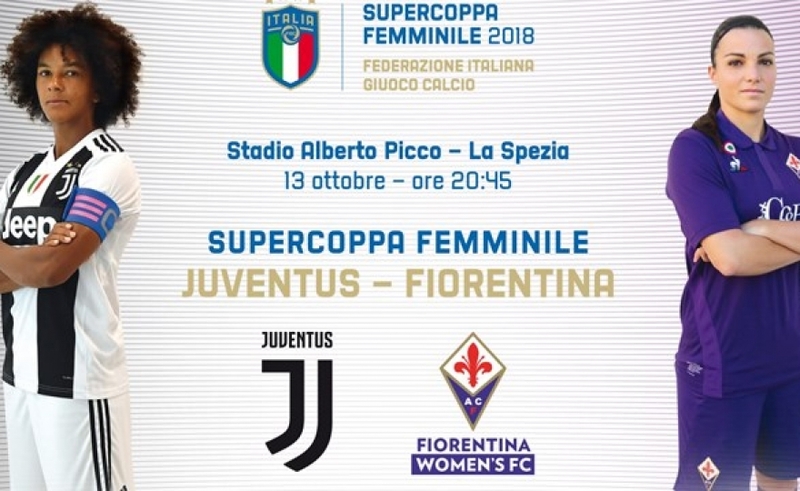 The sale of tickets for the race valid for the Women's Super Cup between Juventus and Fiorentina Women has begun, scheduled for Saturday 13 October (20.45 hours) at the 'Alberto Picco' stadium in La Spezia. The coupons can be purchased at ETES stores (click here) and on the website www.etes.it. 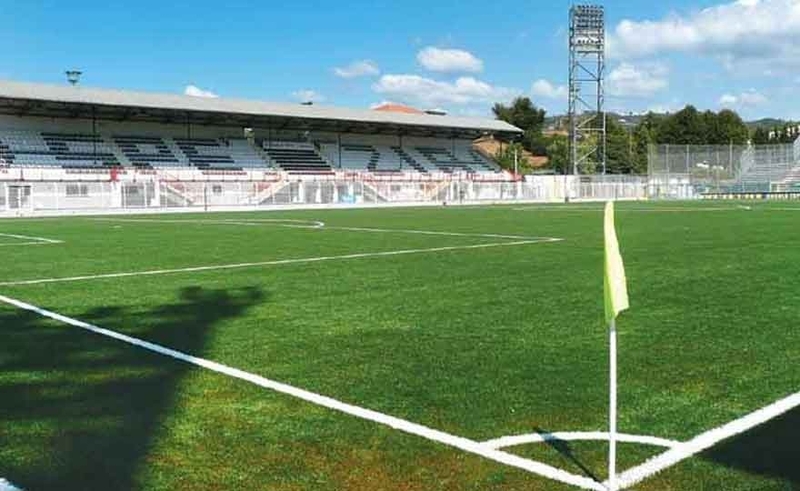 A special promotion concerns the Under 12 (born within 9 October 2006), who can attend the match by paying the ticket at the reduced price of 1 euro. As announced on mine Facebook profile, the race of Supercoppa Italiana was postponed, this time, for the FIGC's failure to have scheduled the race of the second day of Serie A Juventus - Lazio in conjunction with the Women's Supercup already arranged for the 25 in August at 18: 00.